Here at Katy Contractors we’ve been remodeling Maple Grove and the surrounding communities since 1986. During this time, we’ve seen and done it all. From siding, concrete work, windows, room additions, kitchens and baths, carports, restoration, structural repairs, patio covers, and garage conversions to building custom homes and everything in between, we have the experience to get the job done.. If you’re looking for a quality contractor in Maple Grove you’ve found one. Our extensive experience goes back four decades and it shows in our commitment to expert craftsmanship and attention to detail..
No job is too small or too big for us to handle. Whether you’re dreaming of adding a cozy bay window in your kitchen or craving a custom-built mansion, we can handle it. As a contractor who has built a reputation for quality and customer satisfaction, you can count on us for any home improvement project. We work closely with the City of Maple Grove in obtaining all of the necessary permits and getting your project done taking all applicable codes into account. As a contractor with decades of experience, you’ll find that we take pride in our craftsmanship and quality. We work closely with our customers to ensure that their vision and our vision are in alignment and that their dreams come true. We’ll do the same thing for you! No matter what you have in mind, you can be sure that your Maple Grove home improvement project is in good hands. All contractors understand the importance of using quality materials in their designs. We work closely with you in selecting the right type of materials for the job. Durability and beauty go hand in hand. During our time in Maple Grove, we’ve earned the trust of thousands of homeowners and businesses with projects both large and small. We’ve worked hard to earn that trust and continue our endeavor, one job at a time. You can be assured that we want to earn your trust as well. Maple Grove residents and businesses often turn to us for assistance for structural repairs such as after a flood or storm damages the property. As your structural repair contractor, we can assist you with your “insurance claim” as well (fire and water loss and storm and roof claims). We know how stressful this time is and prioritize getting your home restored in a timely, professional manner. While our specialty involves hammers, nails, mortar, paint, drills, tile, concrete, and other tools of the trade, we also specialize in customer service. 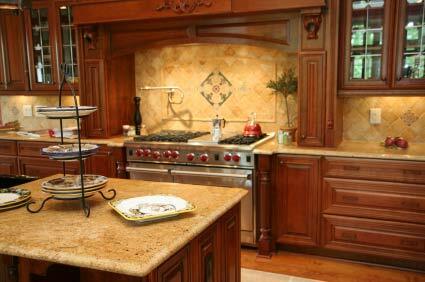 We understand that remodeling any part of your home represents a major investment of time, money, and energy. We want your experience to be as pleasant as possible and do everything we can do to ease the stress. We are always just a phone call away. Benefits of Landscape Lighting and installing quality sprinkler systems for a healthier lawn.